From auto towing to car lockouts to a flat tire change, Mighty Towing Huntington Beach is here to keep you on the go. We value our position as part of the Huntington Beach community and are here to serve you. We know how demanding today’s lifestyle can be and you don’t have time to slow down for car trouble. 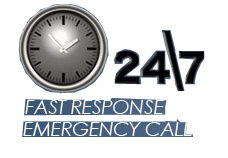 So we are here to provide all the emergency towing and roadside assistance you need. Not only do we have years of experience to offer, but also all of our technicians are licensed and bonded. Mighty Towing Huntington Beach is here to provide fast response when you need emergency towing, but we know that you need more than just emergency towing. Sometimes you may need flatbed or other auto towing services to get your car to the shop. Sometimes you need a vehicle moved in or out of storage. In any case Mighty Towing is here to help with all your Huntington Beach emergency towing and non-emergency towing. At Mighty we know that you may need more than just auto towing. We do more than just move your vehicle; let Mighty Towing Huntington Beach get you back on the road. We can provide battery jumpstarts, car lockout services or flat tire fixes, whether you need a tow or just a little push, we can get you moving again.